In Dutch, a Mandarijn is a Tangerine. I found out that it is called a Mandarin in Australia as well! 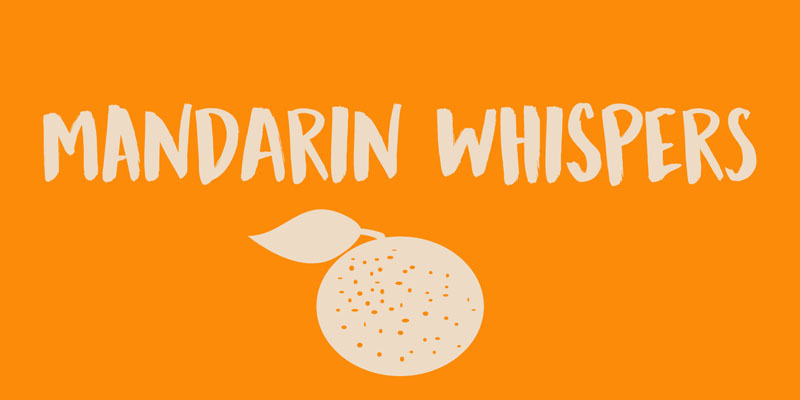 I really like Mandarins, so I thought I’d give them their well-deserved place in the spotlights by naming a font after them. The whispers part – well, that’s just because it sounded good. Mandarin Whispers is a very nice brush font, which was actually not made with a brush, but with a cheapie marker pen. It comes with all the bells & whistles, so have a ball!